The following is an excerpt from Unwinnable Monthly Ninety. If you enjoy what you read, please consider purchasing the issue or subscribing. At a Game Developers Conference many years ago, I wanted to interview Ed Key, the developer of Proteus, about the emerging genre of ‘walking simulators’ and what his game was trying to do. He came to the interview with this other guy in tow that I didn’t know. Ed introduced him to me as David Kanaga. He was responsible for Proteus’s audio, an aspect that is fundamental to the experience it produces. David Kanaga is one of videogames best kept secrets. A composer, designer and philosopher (my words, not his), his name appears second on a range of important indie titles: Proteus, Dyad, Panoramical. For years, on his blog Wombflash Forest, he has written dense but beautiful essays and notes that fundamentally challenge how we think about videogames on an ontological level (I summarized some of them here). His 2014 self-published book dives deep into metaphysical ideas of ‘fractals’ through the iPad app Infinite Sketchpad. 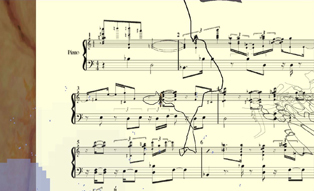 His music is otherworldly (sorry, I’m not much of a music critic).His video presentation at the 2014 Independent Games Festival on Music Object, Substance, Organism has to be seen to be believed. Words I would use to describe Kanaga’s oeuvre: dense, eclectic, challenging, material, important. I’ve caught up with Kanaga several times over the years and always find what he has to say about his work, whatever its current focus, to be endlessly fascinating. Earlier this year, Kanaga released his first solo videogame, Oikospiel Book 1 (although he would probably disagree with me calling it a ‘solo’ project). Kanaga trawled the Asset Store for the game engine Unity, picking and choosing 3D assets made by a wide range of different people for different projects, chucking them all into this rich tapestry of a game exploring issues such as ecology, economy, labor rights, animal rights, energy and, really, existence itself. Like all of Kanaga’s work, it is dense, rife with semiotic meaning, and pulling your senses in a dozen different directions while still feeling like there is some underlying aesthetic consistency that you just haven’t grasped yet. 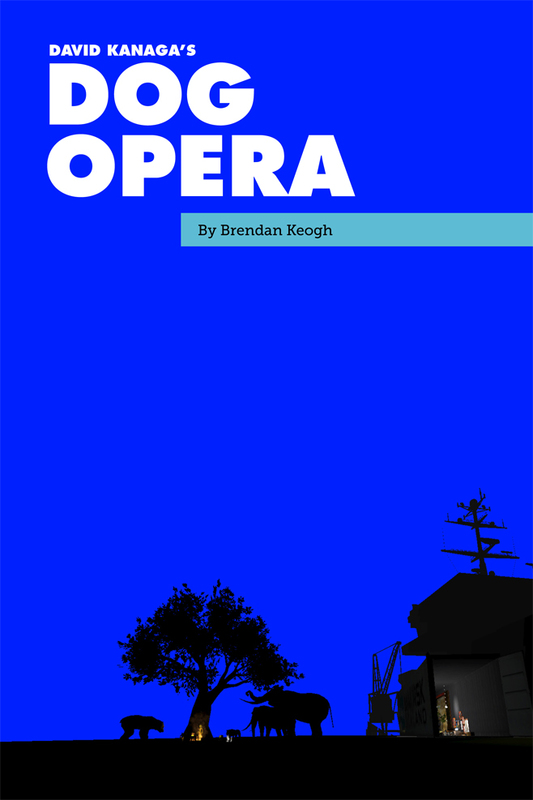 It’s also large – ‘operatic’ in both genre and scale. As an avid follower of Kanaga’s work, I wanted to talk to him about this project. We caught up for lunch in a park on the first day of this year’s Game Developer’s Conference, and Kanaga was kind enough to let me record the chat for prosperity. I present it here with minimal editing, for to mould Kanaga’s words into any sort of straight, linear coherency feels like a violence to just what Kanaga offers the all-too-safe discourse that surrounds videogames. Two days after this interview, Oikospiel Book 1 would go on to win the 2017 Independent Games Festival Awards Nuovo Award. So how do you pronounce your game? Oke-spiel? Ooko-spiel? Oik-e-spiel? Though recently I’ve started to think it should be pronounced eco-spiel. I’m just going to sound really ignorant here. Is it a made up word? Is it German? It’s a portmanteau. Oikos is the Greek word for ‘household’ and also the root of eco for ‘economy’ and ‘ecology’. And spiel is German for play, and also ‘singspiel’ is an operatic genre in German. That was a far more interesting answer for how you pronounce your game name than I was hoping for…I’m curious about the relationship between this and your writing on the relationship between music and videogames. Do you see it as one big related project? Or totally different? It definitely feels related. I think a lot of the energy I put into that is also put into this. Sometimes I sit down and have an idea I want to write and I can’t write it anymore. I would like to get back to that headspace of writing but it feels so different, too. I was emerged in this rationalist headspace, almost. But a lot of the scaffolding is here. When I talk about words like the Oikospiel, all these words build a sort of pseudo-rationalist infrastructure that the game is built on. Or that the game is a shadow of. I don’t know which one. Working on it very much felt irrationalist. But it’s like the Jungian shadow. The consciousness or whatever. Taking all these things that I was excited about in a rationalist sense and both exploring those but also trying to just dive into the dark underbelly that’s been forgotten. Maybe that’s what I’m doing? Why dogs? What’s the significance of dogs? You just like dogs? I definitely like dogs. 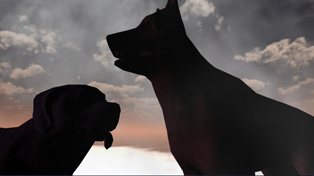 I remember playing with the Unity landscape tools and feeling that I really wanted to have dogs running around on it. Like, a pack of dogs. So it was an intuitive idea at first. And then I found the dog park, which was like $60 on the Asset Store. So I got that. I hope you’re students . . . I really like the idea that these are all assets that other people have made in games. I tell my students to use the Asset Store all the time. Make a game in a week. Go to the Asset Store, just grab some buildings. Don’t bother getting your own models. Just use stuff to make stuff. I think of it as like the Hollywood studio system. Like, oh yeah, there’s those star dogs I’ve seen before in those other games. Anyway, the two things that are formally relevant about dogs are, one, they are domesticated animals. So they are like household animals and oikos means household. But also dogs as like a bridge to the general animal world feels pretty potent because we can relate to them but also they are like wolves. And also they have a rich breed diversity. I think that represents nicely this idea that here is a game you could just put anything into. You could put finance derivatives in or turbo tax or whatever. Basically that is the idea of a game that could accommodate as diverse a range forms as possible, and dogs seem to be a pretty good species representation of that. Some of them! I have this scar on my finger. About four months after starting work on my game I pet a dog foolishly because I thought they were all good boys and it nipped at my finger. It looked like a flayed hot dog. The game came right to mind (laughs). 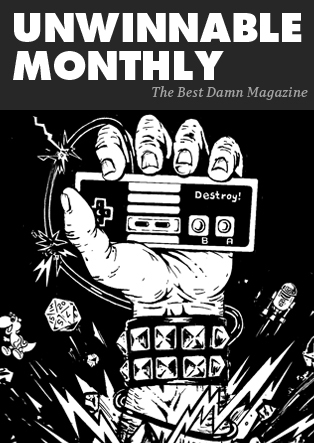 You’ve been reading an excerpt from Unwinnable Monthly Issue 90.